Lake Effect's Audrey Nowakowski checks in with Lauren Groh, who is hiking the Appalachian Trail. It's been a little over a month since contributor Lauren Groh embarked on her through-hike of the Appalachian Trail. And as she happily reports, the experience has been "ten times better than I ever imagined it would be." When Groh started the hike at Amicalola Falls, she had a panicked moment doubting whether she could do it. "We got started and it just kind of fell into place. It's just put one foot in front of the other and just do it." That simple act of putting one foot in front of the other has carried Groh and her wife, Rhesia Baron, anywhere from eight to sixteen miles a day on the trail. They have discovered that despite their practice hikes, climbing and descending mountains on the trail itself is a big challenge. "Mileage here is so much different here than it is in Wisconsin," notes Groh. "Where we could do ten miles in Wisconsin in three hours, ten miles here takes us nine hours!" Soon, they will be entering the Smoky Mountain section of the Appalachian Trail. And, Groh notes that the Appalachian Trail, or AT, has been anything but solitary. "There's been a lot of people going out on the trail at the same time and we're all kind of within a couple days of each other, so we path back and forth," she explains. Fellow hikers, as well as "trail angels" and "trail magic" support one another through food, company and advice. While the most conversations start with 'Where are you from?' and 'When did you start?,' Groh says she has met wonderful people from all over the United States (mostly from Wisconsin) and around the world. People have ranged in ages as young as sixteen to a couple in their seventies. One unique connection all AT hikers have is their trail names, which can be given to you by another hiker or chosen yourself. Groh choose the name "sushi roll" because of the way she likes to roll up her tent. "It's very much an art, just like the art of rolling sushi," she explains. However, Baron got her name under a bit more strenuous circumstances: "I stop and listen, and I can hear this rustling up the mountain and it's coming closer and closer...I can't see what it is," recalls Groh. Her wife yells that it's a coyote, and pushes Groh in the direction of camp to start running. As they both are going down the mountain, Baron suddenly stops and turns to literally roar at the animal, which scares it enough to run away from them. Thus, "Roar" became her trail name. Although, when they were telling the story to fellow hikers, an experienced woman said, "'Well, coyotes are very timid, so he probably didn't even know you were there'...But when you're in the moment you feel like you're just going to die," Groh jokes. In addition to setting up tents, bear bags need to be prepared and elevated high enough to protect the food supply. The daily routine has become easier with time - set up camp, cook meals, reorganize, and tear down camp. "I don't really stress out too much out here, and that's one of my big things that I wanted to kind of leave behind...the setting must be just perfect to live in the moment," Groh says. 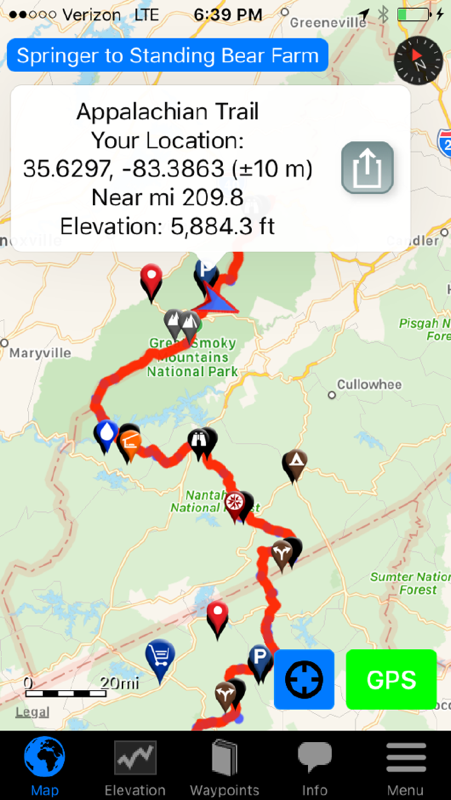 As they get ready to enter the higher elevation and volatile weather of the Smoky Mountains, she simply hopes to continue on their journey without any major issues. "I'm just hoping to be able to get stronger and keep hiking and get really good miles under my belt each day, and that's about it." 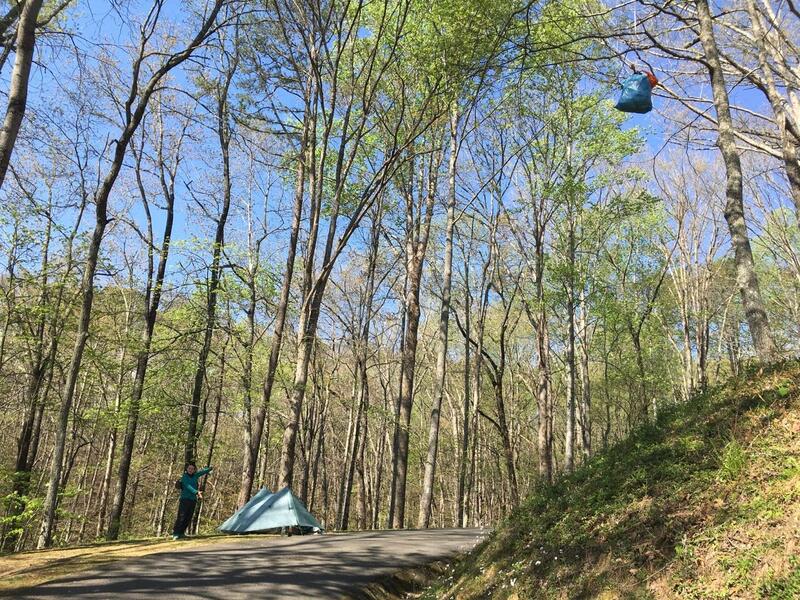 You can follow Groh's adventure on the Appalachian trail on her Two Tents Down blog, YouTube and social media channels.